The greater Chicago Area is the central hub for film productions in the midwest. In this area, you have a lot of great options, from the classic downtown filled with skyscrapers, to the classic suburbs with interesting architecture, we have it all. 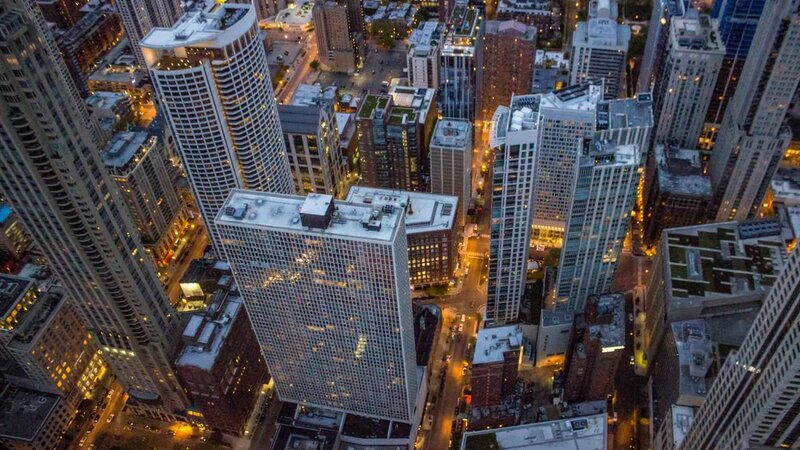 Therefore, we compiled this 2019 ultimate Chicago location permit guide to help you navigate through the process and help you secure your dream location. There are 77 geographical divisions of Chicago. If the location you wish to film at located within these divisions in the map, the Chicago Film Office is the place to apply for the filming permit. For the full list of all 77 divisions, please check out here. What Production Needs/Doesn’t Need Permit for Filming? Parks, streets, sidewalks, any other city-owned property. Public space is a place that is generally open and accessible to people. If your filming activity is potentially interfering other people’s usage of the space, then you are required to apply for the location permit. Residential homes, office buildings, studios, company buildings, warehouse, factories, etc. * Solution to private property: talk to the property owner, and get a written approval letter. If the production does not interfere with vehicular or pedestrian traffic, it typically does not require a permit. But if your production happens in Chicago Park District, Navy Pier, Millennium Park and the Chicago Transit Authority, contact them directly for permit and b-roll guidelines. Chicago Park District, Navy Pier, Millennium Park and the Chicago Transit Authority have their own rules and permit applications, see the corresponding content in this article for how to apply. * If you need help to identify the location by address, check the Street Guide. Step 3: After the application, send the City Services Request Form, Certificate of Insurance, and Community Relations Notification Leaflet with a brief description of project to filmoffice@cityofchicago.org. Step 4: Payment. After your permit application has been approved, you will receive an email notification asking for your credit card payment method to pay for the permit. Step 5: After your Community Notification Leaflets have been approved, distribute them properly in the neighboring areas at least 48 hours prior to the production. And verify the No Parking Signs have been placed in the proper locations by the city if you submitted them. * All student films and independent projects are evaluated on a case-by-case basis. Send your production documents and materials to City of Chicago film office through email for more precise evaluation on which category your production belongs to. All permits require a minimum of 3 full business days to process. But the processing time is determined by the scope of the request. If you require street closures, stunts, special effects, drones, and other high-impact logistics requiring additional time and review - a minimum of 10 full business days. These special requirements may need the Chicago Police to be on set, and the CPD requires a notice 3 business days before their City Services are required. You should contact film office to discuss feasibility. Chicago Riverwalk permits require a minimum of 10 days to process. Peak season restrictions apply. You should also contact the Film Office for more details. Depending on the specific situation, the time it takes for you to acquire permits varies quite significantly. So we advise you to plan extra time for your permit application. The City of Chicago Film Office will coordinate with you if you need No Parking signs, tow trucks, barricades, Police Personnel, Fire Personnel, and notice of special effects or gunfire on your production, the Chicago Film Office can help you with that. You just need to fill out the City Services Request Form and send it to the Film Office along with other materials. Police supervision is necessary for street closure, traffic control on city streets and/or use of special effects/firearms. Production must provide appropriate time cards and paperwork for compensation when hiring personnel. An invoice for requested squads will be emailed. Fire Department supervision is mandatory in the use of special effects, pyrotechnics, wet downs, stunts and any instance involving the concern of public safety. The Chicago Film Office will assist with scheduling Streets and Sanitation services. A Certificate of Insurance that meets the following limits and names the City of Chicago as an additional insured is required. The production should send out proper notification and leaflet to neighboring residents and/or businesses at least 48 hours prior to the production date. * Do not distribute the leaflets until they have been reviewed and approved by the City of Chicago. The City of Chicago Film Office is dedicated to help coordinate all filming needs happen in the Windy City. All staff work there are really nice and efficient. If you have more questions, don’t hesitate to contact them via email or call them at . They are happy to assist you with your production. Chicago Park District is full of great locations for your next film, so definitely don’t forget about the parks when you are choosing your locations. Check out here for the full list and map to locate the park you want to film. That being said, as long as you want to conduct production in properties managed by the Chicago Park District, we highly encourage you to apply for a permit. Step 1: Pay non-refundable permit application fee ($35) here. Step 2: Complete & Submit the Application Form here. * You need to include the Permit Application Fee receipt number from Step 1. * The application form is best viewed in Chrome or Internet Explorer Browsers. * You also need to pay a non-refundable permit application fee of $35. Chicago Park District Permit Department takes about ONE full week to process all filming and photography permit application, but it also depends on your production size. Plan more time for the application if you have a bigger production. We also recommend you to maintain a direct contact with the park district if you are running out of time. Chicago Park District staff are nice and they are certainly willing to help. Endorsement document issued by the insurance carrier under the applicant’s General Liability policy of insurance, including coverage that reflects that the Chicago Park District is an additional Insured for the event. * You need to submit the COI and Endorsement document at least 48 hours prior to the event, or your permit will not be issued. See Sample Insurance Documents (Page 9-10). Evanston is a beautiful city located just north of Chicago. It shares the beautiful lake view with Chicago, but it differs from Chicago’s industrial atmosphere. It’s a quiet town with historic university campus that certainly has a great potential for filming. 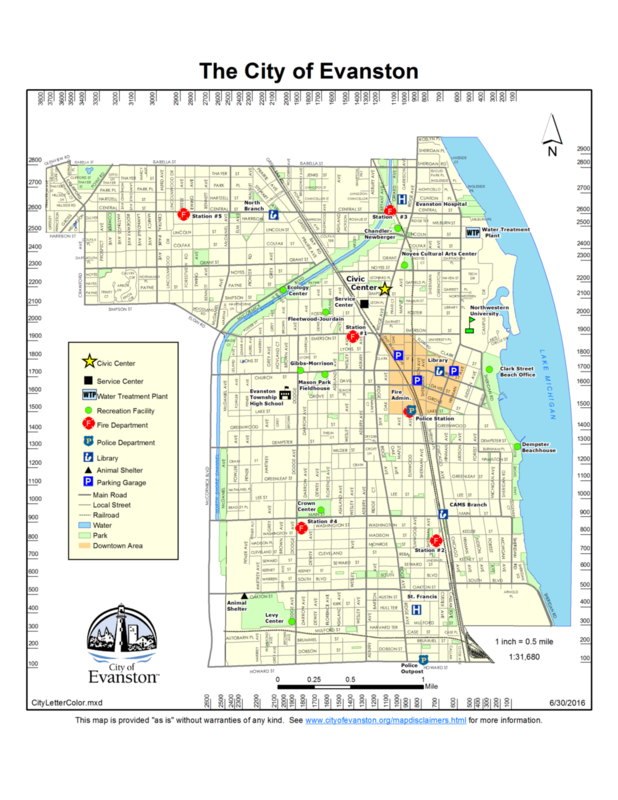 Check out the map here for what is considered in the range of Evanston. Every type of production needs to submit an application for the permit. Most of the production (film, photography, b-roll, and interview) require a permit. Micro-sized production might not need a permit, but it’s determined by the city. The city will review your application and materials to decide whether your production needs a permit or not. But it’s always good to inform them what’s going on. Step 2: Complete and submit Online Application Form along with the COI and Hold Harmless Agreement as attachments. Step 3: Send all Notification Leaflet for approval through email. Step 4: Payment. Submit payment via checks made out to the City of Evanston for the total costs of the shoot before filming begins. You need to submit the application at least 5-7 business days (7 business days if parking is needed), or the application will be rejected with any shorter reviewing time. It’s the similar requirement for the Community Notification Leaflet. But all distribution must be made at least 72 hours prior to the production start date. It’s always good to prepare all of the required materials before the discussion with the City of Evanston. They don’t have a specific film office for processing filming permit, but the staff in the Parking & Permit department will be happy to assist you with the permit request. After you submit the application, you can always follow up the status with them via email or phone call. CTA welcomes your filming and photography projects, both large and small. Their trains and buses connect the whole Chicago area, especially the “L” is known as the landmark of Chicago. CTA offers four categories of services for filming and photography. Transit, Props, Support Crew, and Locations. CTA’s vehicles can be rented for productions any time, except weekday rush hours (approx. 6 am–9 am & 3 pm–6 pm) or where restricted by CTA. Supervisory staff to accompany you and/or your crew whenever your project is scheduled. Specialized personnel can be hired as needed: Bus Operators, Rapid Transit Operators, Customer Assistants, Laborers, etc. The Magnificent Mile and State Street shopping districts, as well as neighborhood malls, served by the CTA. The 'L' and buses can be filmed not only in downtown Chicago but also in many of Chicagoland's diverse neighborhoods and suburbs. * If you need to film in a CTA property outside of Chicago area, for example, Purple line in Evanston, you still need to apply the permit through CTA. CTA requires a permit on every type of production. You can’t publish any footage that shows the public, CTA staff, or CTA signages without a permit from CTA for commercial use. Step 4: Attend a pre-production meeting at CTA’s General Offices with CTA representatives to discuss the plans and accommodation. The ROE pertains to public-use facilities, such as train platforms and terminals. The CTA’s ROE fee is $2,000 per day, per location. Rates for the use of CTA Headquarters and other CTA facilities may differ. Travel time to and from the site must be included in total rental time. Rental time begins the moment the vehicle leaves its bus garage/train yard until it returns. Basic Bus Rental Costs – Rates are based on a four (4) hour minimum. Basic Train Rental Costs – Hourly rates are available. Rail cars are married pairs that cannot be uncoupled. Rentals are in increments of two, four, six, or eight rail cars only. Supervisors must be present for all projects. They are paid for eight (8) hours at time and a half (their hourly rate x 12 hours) whether they work one (1) hour or eight (8) hours. Customer Assistants, Electricians, Laborers, Carpenters, Sheet metal workers etc. may be necessary based on your needs. Their labor costs will be determined at pre-production meeting. From the initial contact to the start date of the production, if everything goes smoothly, the process may take at least 2-3 weeks for the communication, production meeting, quote, deposit, and filming arrangement. Therefore, we advise you to apply permit at least 1-2 months before your production. You need to complete the CTA Certificate of Coverage, Certificate of Insurance, and Insurance Binder. CTA has many requirements on the insurance. The insurance you provide must covers Worker’s Compensation, Comprehensive or Commercial General Liability, Automobile Liability, and Railroad Protective Liability. CTA has required the minimum limits for each coverage, please check here for the detailed requirements. Comparing to other places, CTA is probably one of the hardest places to secure a permit and it will also cost you the most, so you should avoid shooting on CTA without a decent budget and an experienced producer. Because of the sheer complexity of obtaining a permit from CTA, you should plan everything carefully as well. Give yourself enough time and budget for the process.